Saint Petersburg is the second largest city in the country. And, of course, it is an object of attraction for the inhabitants of many nearby and distant areas. This man, coming to this city to work or study, often does not have the ability to obtain a permanent residence permit. How to obtain a temporary registration? document grounds for a temporary residence permit. Specify mandatory that you temporary registration in Saint-Petersburg. It must make those who live in the city for more than three months. Also a temporary registration in this city will help you to simplify a number of administrative issues, for example, a loan or the entry in the library.For provisional registration of residential facility must meet certain standards - it must be registered not more than one person on six square meters. Prepare the necessary documents. Ask the landlord a written consent for the issue of temporary registration. This consent must specify the address of accommodation, surname, name and patronymic of the owner and your reasons for temporary residence permits - family relations, rent or room and so on. At the end of the document owner must supply the date of its completion and signature.If the owner has doubts and doesn't want to prescribe to you, explain to him that a person with a temporary residence permit receives a permanent right to dispose of housing. It can also be prescribe by the owner. Find the coordinates of your passport at the place of residence. This can be done by using reference or one of the special sites, for example, on the website Vremreg.ru. Go to the section "Passport offices in Saint-Petersburg and Leningrad region" and find the one which is geographically closer to your home. Come to the passport office in its working hours with your passport and the consent of the landlord. On the spot write an application established form, which you will be given the employee. In the statement, specify your surname, name and patronymic, passport data, place of permanent residence. Along with the application and with the consent of the owner to give the officer your passport, noting when you'll be able to pick it up. 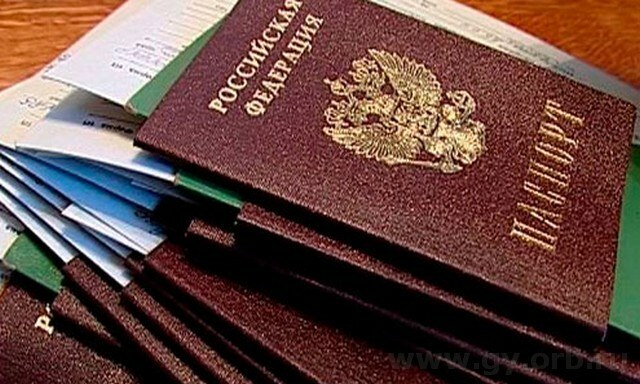 In the above day will personally get a passport with a stamp on the temporary registration in Saint-Petersburg.